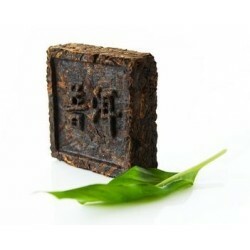 Tea, which we used to call black, in China it is considered only in red, because it's really black tea - it Puer. To gain a deep color infusion, strong, mellow taste and long-lasting flavor, this tea is aged for several years in the special conditions. Puer - the only kind of tea that gets better with time. Optimal storage for different varieties of tea - from 10 to 30 years. Collection aged Pu-erh can be rated higher than a collection of vintage wines. Puer 2013 crop varieties 9 to 9 pcs. each class. * Price is for one bag, weighing 400 grams .. The characteristic of this tea (wild purple): 1. This tea is made from ancient tree of a wild ..